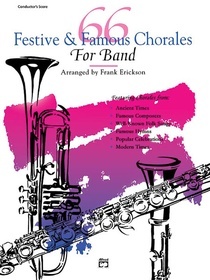 A diverse and timeless collection of 66 famous chorales arranged for concert band by Frank Erickson. 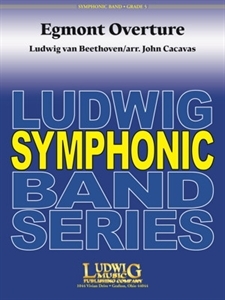 The chorales are all arranged in four parts (SATB) and, in addition to full band, are playable by a wide variety of smaller groups, from quartet on up. Besides being an excellent warm-up tool, 66 Festive and Famous Chorales for Band provides a perfect opportunity to work on musicianship, phrasing, balance and intonation. The comb binding creates a lay-flat book that is perfect for study and performance.